Crosswind are a classic instance of the bands having been created in the mid ’90s and due to several difficulties release their debut after all those years. 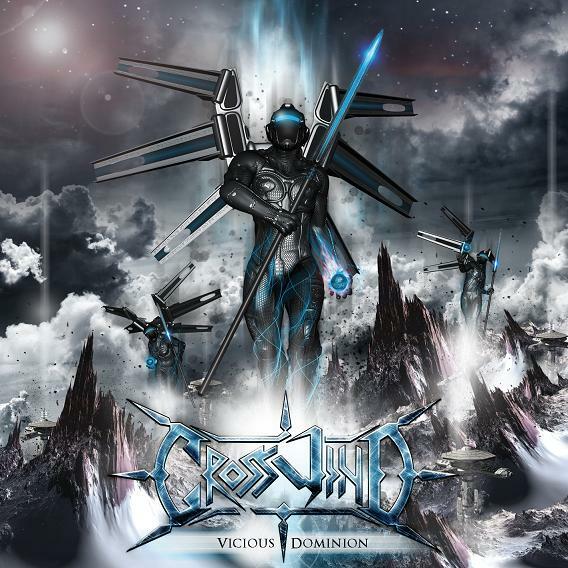 You see, it’s their vision and tenacity to stay alive, get over every hurdle and be here to offer “Vicious Dominion”. Their debut will satisfy to the fullest the fans of teutonic power metal. Whoever has missed the firmness of Helloween from their first three albums, the ignorance of Hammerfall on their debut and the inner power of Innerwish, now can lie his/her tears of happiness in this album. If in the first demos and the compilation, the band showed that has something to say, with this release things are being more certain than then. And now what exactly have to say about the songs? 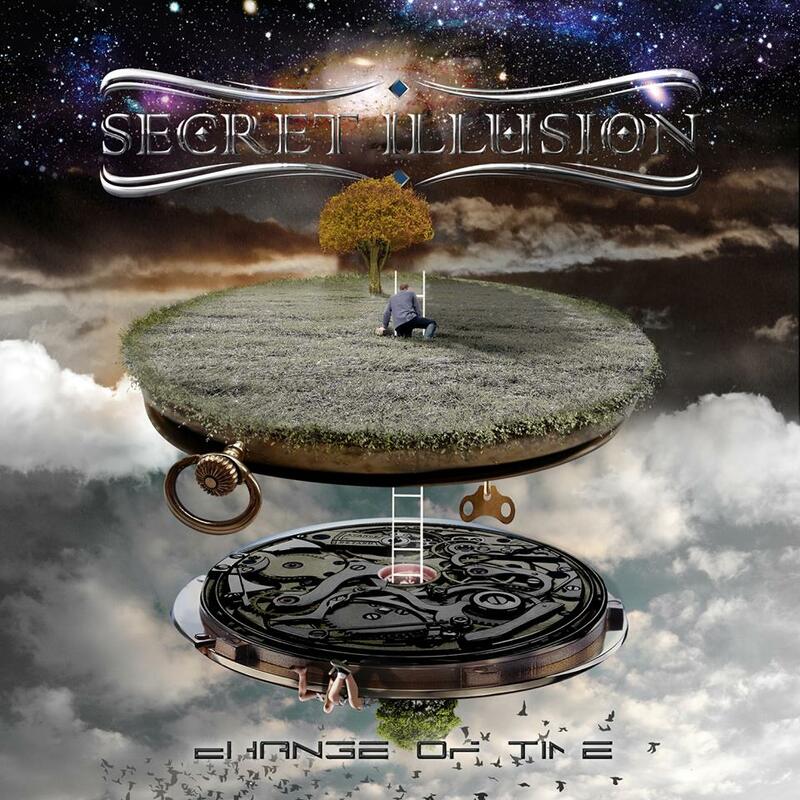 From one side the power immediacy of “The Order”, “Angels at War”, “Aeons” and “Eye of the Storm” (A song from the past). Refrains that will be sung even while you are sleeping and leads that stuck in your head like the leech in the body. And from the other side the epic majesty in “Vicious Dominion” and “Legion Lost” (with an “a la John Arch break scream” in the beginning). Speed riffs and solos as you ordered them many years ago. As the tradition asks great singers in power/prog bands from Thessaloniki, Crosswind played with the “Mat move” and brought Vasilis Topalidis to be their frontman. So, hearing this voice in a metal album after Horizon’s End is dreamy. His voice fits every single second in the songs and the rest is history. While power metal is not as strong as it used to be, I’m saying this and not because I’m a Greek; bands from Greece step on stuff that many other bands did in the past, but the feeling through the songs is strong and alive! 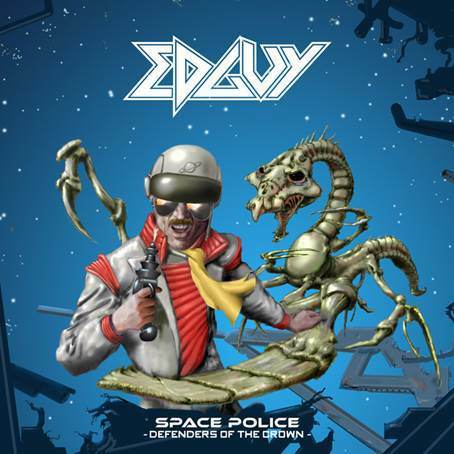 I have to confess that I had no anticipations for the new Edguy album. Their latest releases were more as a personal fulfillment on the turn of Tobias and if he had followers on them, then good for those guys. Consider that if we take all the albums from the German giants of power metal, none of them was or is strong enough to stay in my heart for the rest years (Blind Guradian are always THE exception). But enough with that prologue and let’s move to the best things. The new album makes me fly from happiness, whether some call it the best in the entire Edguy career or not. Actually I don’t care if it’s the best, but I do care it can offer me so many moved moments and mainly songs that I call it one of my favorites (ok, the last thing supposes to be something that time will tell). With one description Tobias and his friends achieved to do, for me, the one unable to be done by other bands. They released a power/heavy album with the veil of casual rock spirit on it. “Heading for Tomorrow”, Sign No More”, “Hell for Sale!”, “Open the Gate and Watch”, “Savage Poetry”, remember? What is it you want from the album? Ultimate heavy power stuff? You got it in “Sabre & Torch”, in the “step on Kai’s steps” “Defenders of the Crown” or “The Realms of Baba Yaga”. How about the recognizable melody of Edguy with keys? “Space Police” and the brilliant “Do Me Like A Caveman” (and call me crazy if you want, but the melody on the piano is the similar to the finalizing one in “Echoes” from Pink Floyd). And how about the shaking and ultimate hard rocking moment of “Love Tyger”? Pretty Boy Floyd meet KISS from the ’80s trying to keep with them the riffing of “Free Time” from Gamma Ray. Yes, yes, yes… this album is ideal and honestly, I believe Tobias is heard in his best vocal lines ever! Not that the rest of the guys stay back. Also, the band doesn’t leave behind trademarks form other great albums. As an example take the last songs of the album. Choruses with strong atmosphere from “Theater of Salvation”. I enjoy it again and again and you should try it as well and remember, it’s not a pure heavy/power album nor a simple hard rock one. It’s something more and the simple music lies within it. Kai Hansen; by far the biggest chapter in the history of the European power metal. His sound affected so many bands, that a catalog of them would full fill the page. Yet, the last years with Gamma Ray seems to follow a certain way of writing, without the clue of surprise that used to be in the first days. Ah, those days. Actually, we cannot ask have an album like the first 4. Seasons have changed, his love for Judas Priest is his “wife” in the albums and thus things go on. 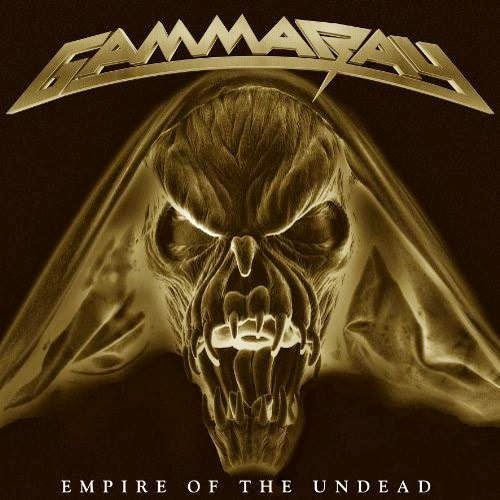 “Empire of the Undead” is not something different, it’s not the album which can be regarded as the album of the year or if it’s the best Gamma Ray album after “Powerplant”. For the fans of the band it’s quite good and especially if you focus on the songs that have a smell from the first days. “Born to Fly”, “Demonseed”, “I Will Return” and the Queen – ballad “Time for Deliverance”. This ballad, for me, is one of the best songs in the album and in the career of Rays. Those songs are catchy, are like they have come out of “Sign No More”. Yet, they have a little bit from the recent sound of the band. On the other side, the rest album moves into known waters without many changes. “Avalon” (with its galloping rhythm sections) and “Empire of the Undead” try to be winners, but they are good for some moments. In the others songs nothing new, nothing so pleasant can be found. I wonder why should there is “Master of Confusion” or the confused “Pale Rider”… Tough Accept – riffing, but really lukewarm chorus. 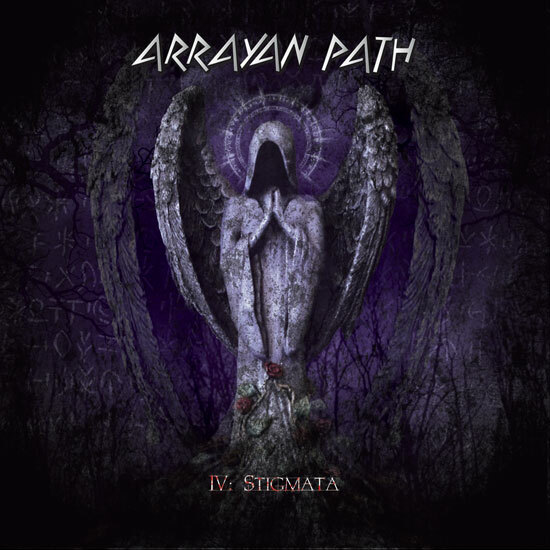 There is no exaggeration in saying that now power metal has no more old heroes to defend it and some of the new guys just need a lot of time to find personal steps, Arrayan Path are the rising sun in this genre. They keep writing music that is being evolved in every new album and their stigma hits every listener approaching them. The band created high expectations from the excellent “Ira Imperium” and now through “IV: Stigmata” goes on like there is nothing on its way to the top. The new album could be characterized as a dark one for two reasons. Because of its concept around religion, including dark moments from different eras and of its riffs. Fury and powerful riffs embrace the biggest part album making it more power and less epic. The first four songs opening the album are the meaning of the above words. You want fast and galloping riffing covering your minds? You got it here. You want choruses able to make you cry from happiness? You got it here too, especially in “Clepsydra” and “Judas Iscariot”. Also, among those four songs “Midnight and the First Born – Massacre” is the most theatrical one, made by its alternations. You know of course that if we had to do with an album full of fast songs, we could leave it in the end from boredom. For this reason the band knows well the situation in order not to lose. The mid – tempo one “Stigmata” is the song that characterizes Arrayan Path for their epic mood. It’s not just a metal song, but to my ears it’s something more, combining the metal lyricism with the lyricism of musicians coming from a different field of music. This element is obvious in the orchestration of the songs and the keyboards that incorporating a mediterranean atmosphere (even Spanoudakis sounds like being in here). “The Storyteller” is the second mid – tempo with beautiful melodies. Nicolas Leptos is for another time great, he doesn’t sing high, on the other hand is more mature and strong going with the needs of the songs and where you listen to screams be sure that Vaggelis Maranis (their permanent producer) limbers up his voice. So dear friends and readers be ready for this album, it has what we have loved ’till now in Arrayan Path and is more fury than ever. If you listen to the bonus “Mystic Moon” you ‘ll see that a fury riffing closes the album as a fury one opening it.